An interesting midweek read by Paul Goldberger in Vanity Fair on the increasing density of towers along the Southern edge of Central Park South. Whichever stance one takes on their Architectural characteristics, these imposing silhouettes will have a striking effect on the City skyline and are a symbol of the everchanging New York, in today’s Age. A commentary regarding the change on 57th street (a very popular topic in New York these days) will be posted by yours truly in the weeks to come. Enjoy! 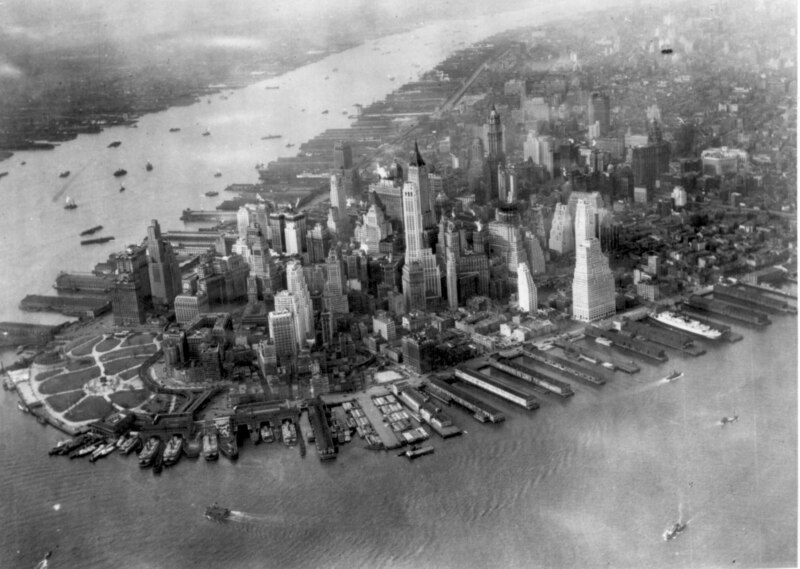 Old New York. I pass by these buildings every day and imagine what life was like when these sturdy structures contained The Immigrants; Germans, Jews and Irish families crammed within quarters, searching for a better life in The New World, working alongside pushcarts and carriages. These buildings used to have neighbors just like them alongside, although they were wiped away by neglect when this area of Grand fell on hard times. Two Tenements, Standing; embody the American Dream of yesteryear, soon to be relinquished to the wrecking ball of renewal. Ghosts of their prior life, swept away. The City of Today circulates at a faster rate, a heightened pulse keeping pace with the technologies and societal changes of Time. The City of Today, some say, is losing a core set of values which used to be deeper, more intimate and connected. These changes were once pondered before in the Earlier Century. A Century defined by a shifting society and a need for new Structure; A Futuristic Fantasy envisioned as The City of Tomorrow. The City of Tomorrow houses a churn of human activity, alive and unafraid. It is a place embodied with the principles of its people, a vision of what it can and wants to be, a form of Human Projection. When Two Tenements, Standing disappear; they will make way for the next iteration of The City of Tomorrow. The plots on which they rest will become part of the next New, New York. Boxes in the sky, marching steadfastly down Grand. 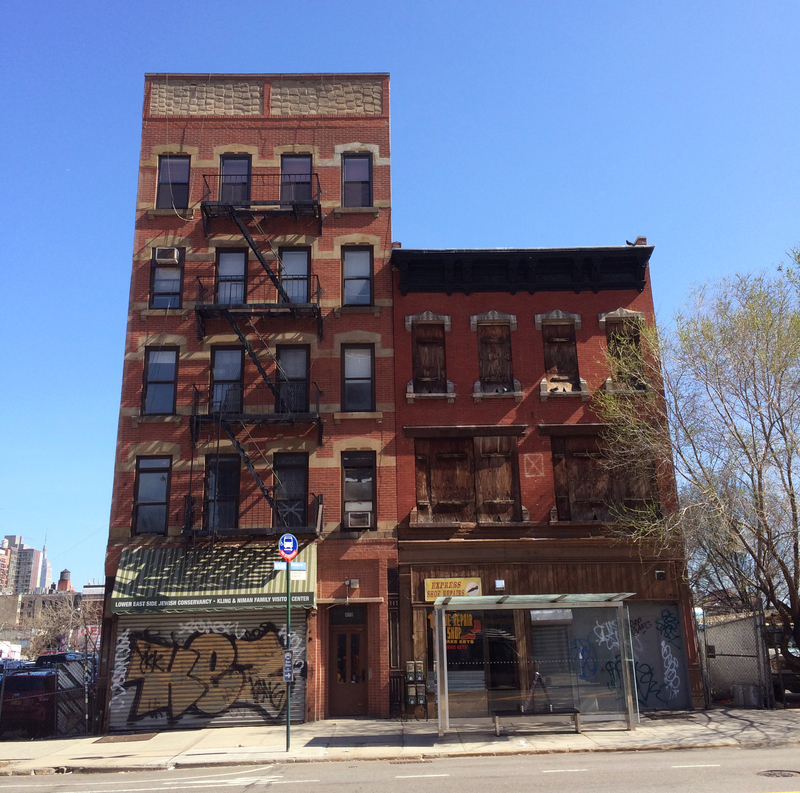 Link to Essex Crossing development, the replacement of Two Tenements, Standing. 400 & 402 Grand Street in a commemorative map of the Seward Park Renewal Area (Number 2 on the map). A walk down Grand Street and nearby points of interest. 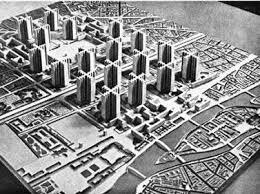 Link to Le Corbusier’s Wikipedia page. 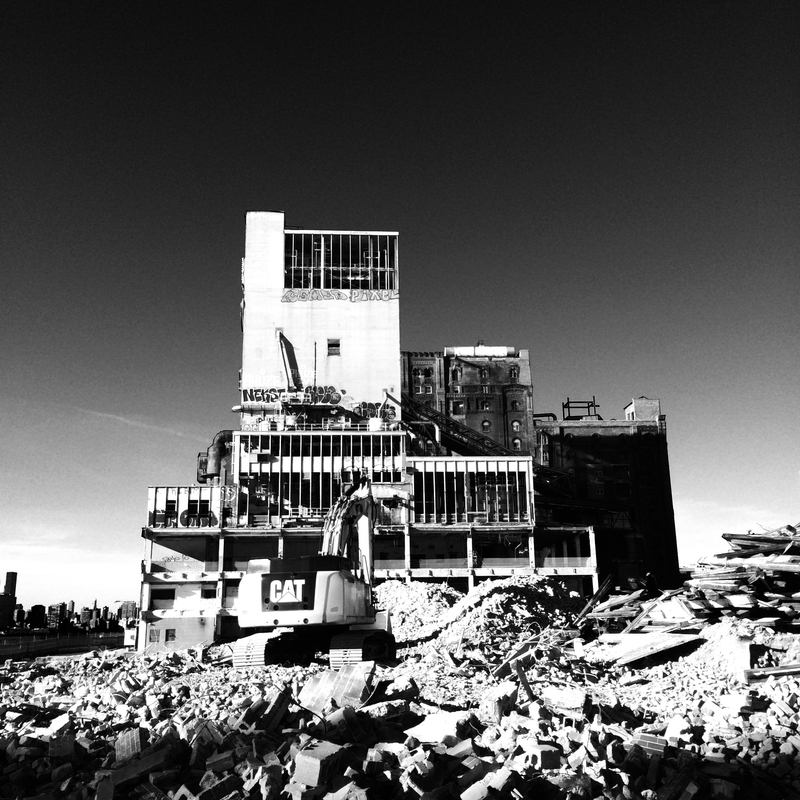 The transformation of a building site is raw and beautiful, from a perspective of mass demolition leading to renewal. In this pictorial shot, large swaths of the Domino Sugar Factory are being torn down for a new wave of Waterfront Towers. Urban demolition, excavation and rebirth are part of a constantly evolving process that The City undertakes in order to remake itself and adapt to change. This process oftentimes undercovers the layers of a place, frozen in time. The next day, it may all be gone. 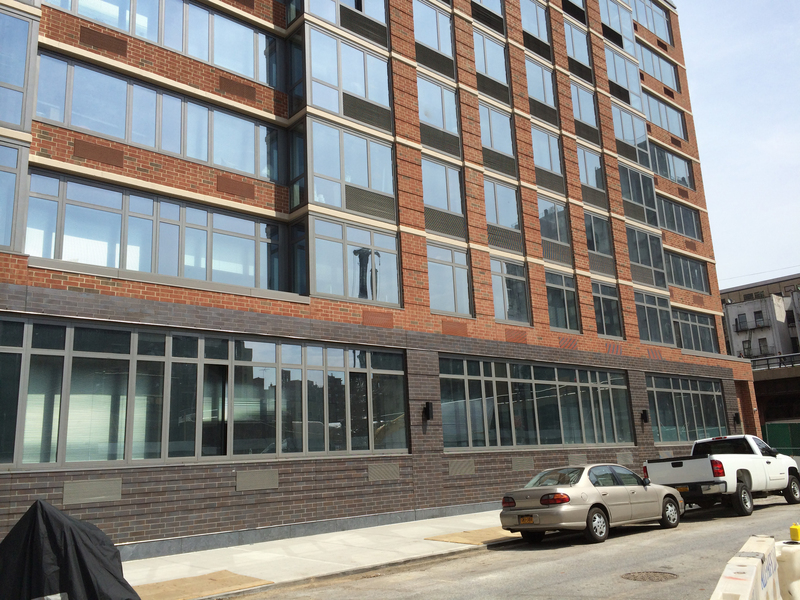 Location of this Urban Transformation site can be found HERE, in Williamsburg, New York. In Memoriam, The American Folk Art Museum is about to be torn down by the Corporate Entity which is now MOMA, as highlighted Here in The New York Times. A seminal piece of architecture, this building has been critical to so many students and circles of academic study, and perhaps Tod Williams and Billie Tsien’s greatest work. 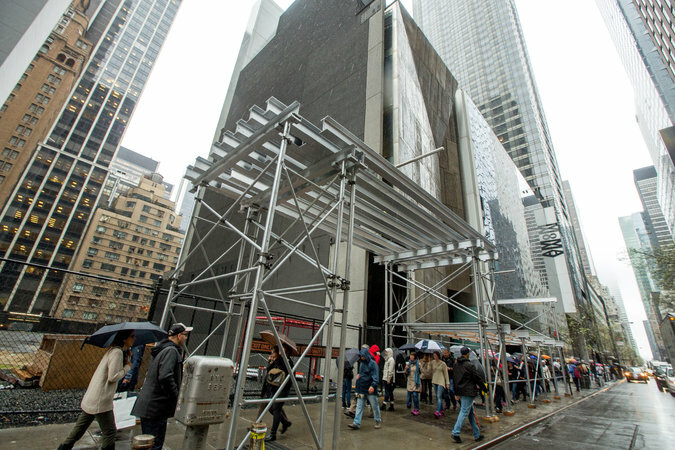 Its contribution to the fabric of the city was great, albeit now brief, as the planners for the MOMA’s expansion have not found a way to incorporate elements of its Form into the new expansion. Sad indeed. We need to keep buildings like these. They add dimension and vitality to the street and are objects of beauty in themselves. We mourn the imminent passing of this Great. Mid-Week Inspiration: The Object Building, a Static Projection. Sometimes the Form of The City bends, pulls back, and acts as Urban Sculpture. 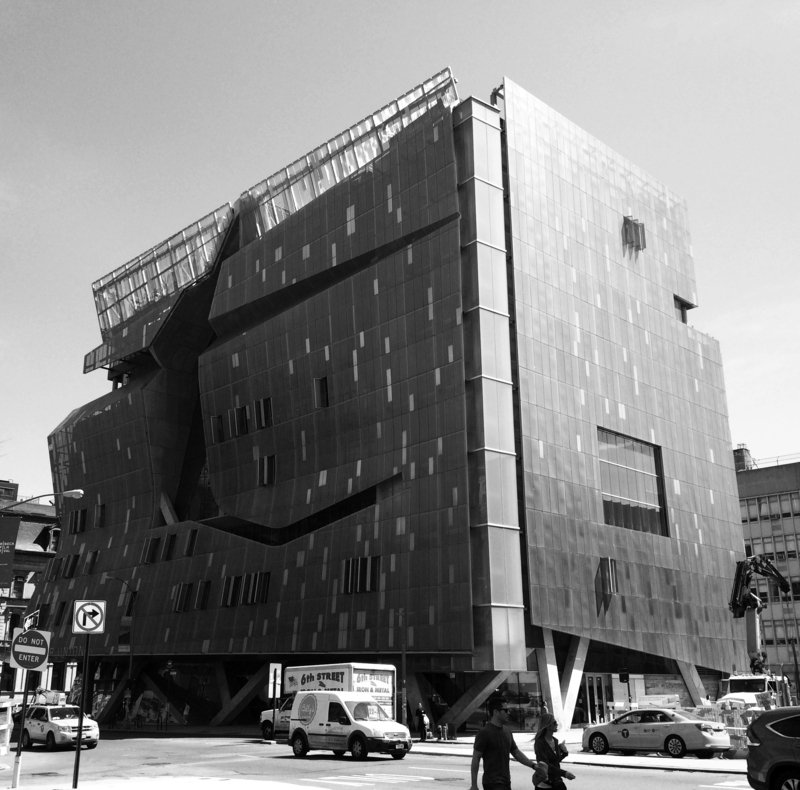 This Object Building, The Cooper Union For The Advancement of Science and Art, takes a bold position and asserts itself into the Cityscape. It adds more to the adventure, and makes people look up, wonder, and want to be inside. One of the more interesting mapping sites about New York traces patterns of change over various periods of The City’s history; From it’s earlier industrial roots and into the 21st Century. An amazing resource for those interested in mapping and cartography; It can be found here at this NYC.GOV Website. Hint to Navigate: Zoom in on the area you would like to see and click “Map Type” in the upper right portion of the screen to see the aerial at a certain time period. Enjoy! The Urban Critic: There is a type of development taking place in The City which is having an irreversible and destructive effect on the form, and the future form of our urban core. 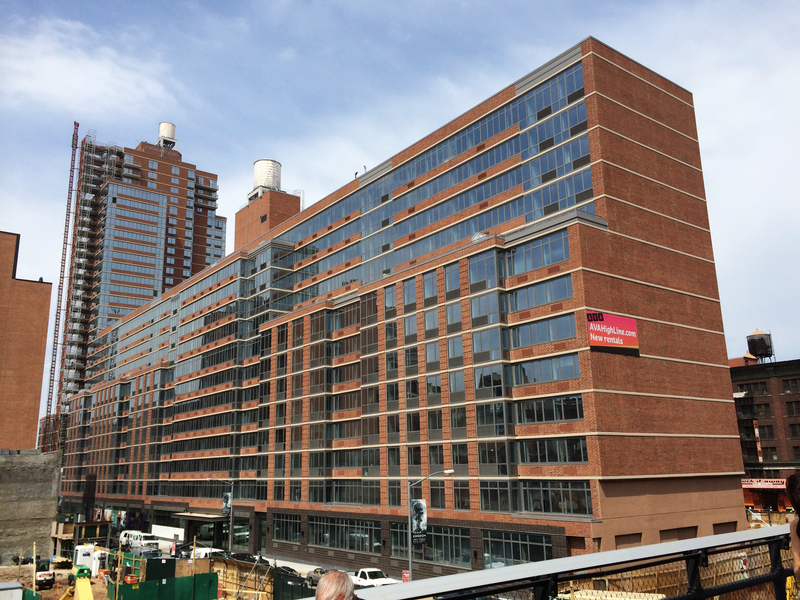 These developments are the immense and bland superblock buildings which are appearing on Manhattan’s West Side. Their land plots are cobbled together over years of deal making and lot assembly; then the developer strikes when the iron is hot, hires the most cost efficient architect who will sacrifice their imagination, and proceeds to plunk down these monsters of mediocrity. Beasts of the West Side unravel the Core Tenet of Jane Jacobs’ philosophy about urban density and variety, which she so famously wrote about in “The Death And Life of Great American Cities” (Random House, 1961). Variety, she professed, is a central driver of a City’s economic and social success with the intermingling of classes and a vibrant street life. In direct opposition to her philosophies, these massive structures divorce society from any true pedestrian scale and day-to-day interaction. Banal, uniform, and unforgiving; These building exteriors create wind swept streets of nothingness. In all due respect, development is good when it is thoughtful and has an intention to fulfill a purpose for greater Mankind. This attitude of optimism is seen at Hudson Yards, where, although the scale is still very large, the developers are thinking about public space and how people move out and about. This thoughtfulness is lacking in the Monolithic Beasts of The West Side. 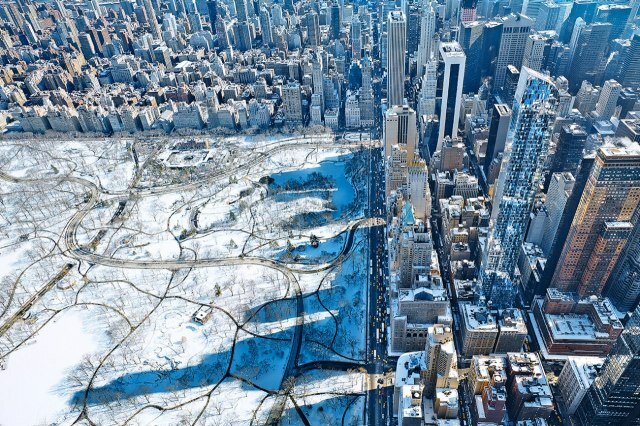 Manhattan deserves, and expects, something much greater than the least common denominator.